At a very young age Joel responded to the Gospel message and became a disciple of Jesus Christ. As a young man, he felt God's call to ministry and after graduating from High School he began working at his church. He served in whatever way possible and eventually became the worship leader and worked with the youth ministry. 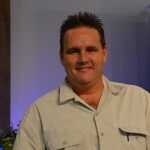 In 2008 he was led by the Lord to plant The Bible Fellowship a non-denominational church in Wimauma, FL. He has been pastoring there ever since. 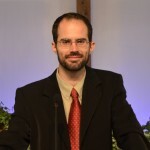 Joel and his wife Denaye have 3 children and are blessed and privileged to know and serve the Lord Jesus Christ.